Tandem Bagels 200 E.Walnut Mankato, Mn -The artist submissions will be on display at local sponsor, TANDEM BAGELS (200 E WALNUT ST, Mankato, Mn) the week prior to the main event and fundraiser. 8-10pm—–ART SALE & SILENT AUCTION -All money raised through silent auction proceeds supports Key City Bike’s mission and educational programs. 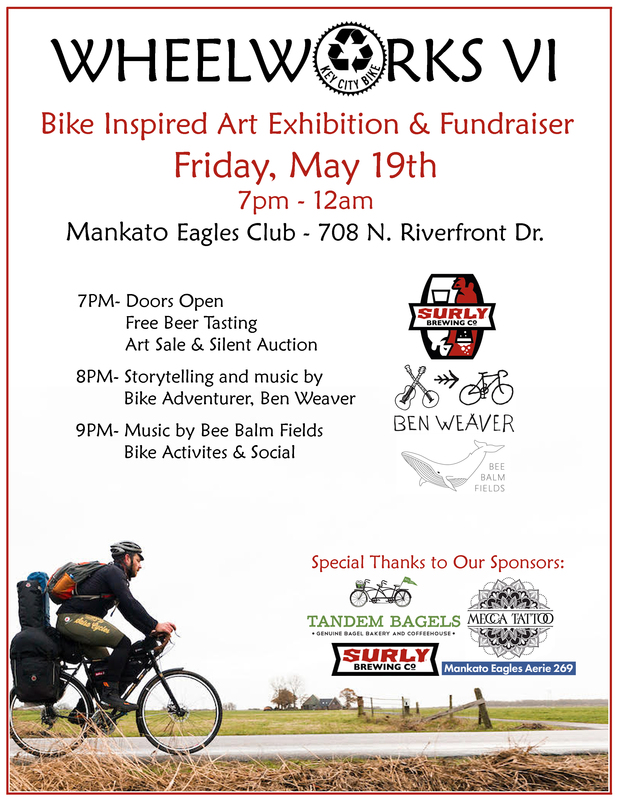 MN musician, songwriter, poet, environmental resource advocate and bicycle traveler, Ben Weaver, will be biking to Mankato to perform his stewardship based STORYTELLING AND MUSICAL inspirations from his travels on bicycle with his instruments around Lake Superior and beyond. 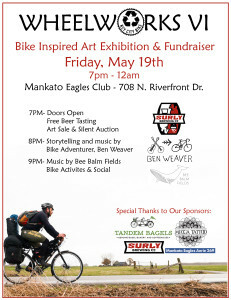 Mankato area and Key City Bike friends Bee Balm Fields closing up the night’s festivities with some great local music.